I believe in the universal, transcendent ability of art and nature. I believe that both art and nature ground us and connect us to something deeper than ourselves. I believe that we all want to be immersed and encapsulated in a world where we feel safety, joy, love, peace, and beauty. For me, my art and design work is an immersive experience — a way for me to surround myself with the positivity and peacefulness that nature, color, beauty, and pattern provide. I connect with creation through creating. 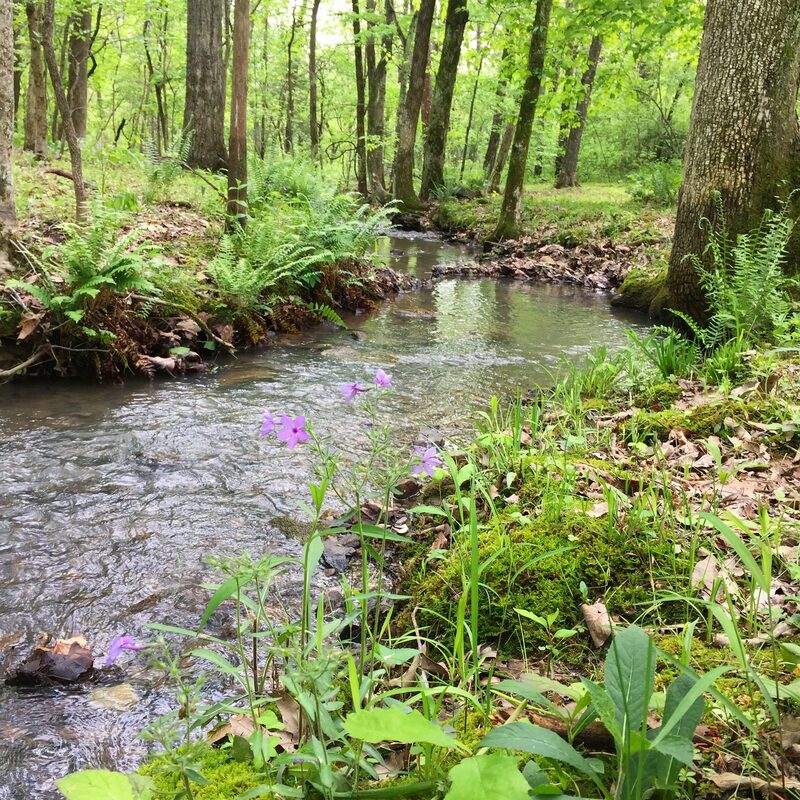 I hope my work feels like walking alongside a creek in the woods, flowers and ferns blooming on the ground, the ripple of creek water beside you, the rustle of the leaves above. I grew up in rural Southern Illinois on land that has been passed down through my family for generations. I spent my childhood running through the creek and climbing trees with my sisters, watercolor painting at my grandparent’s kitchen table overlooking the garden, cooking, and sewing. My world was saturated in the natural and domestic spheres — a dynamic harmony ever present between creation and creating. Even though I now live in New Orleans with my husband, Andrew, our daughter Laurel, and kitty Violet, my art is my way of returning to the natural world of my childhood in the only way I can. With a B.A. in English and Studio Art (Painting) from Tulane University and an M.A. in Fibers (Textile Design/Print & Pattern) from the Savannah College of Art and Design, I work as an artist and textile designer. I strive to live and work from my deepest values — creativity, simplicity, mindfulness, and adventure. 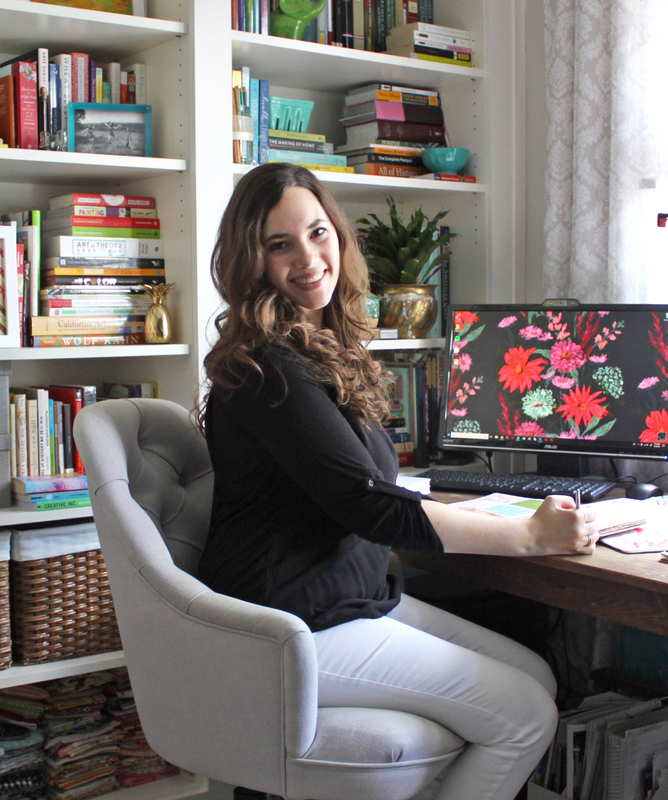 I’ve worked as a print designer for Lilly Pulitzer and have surface pattern designs and collections available for licensing. Follow me on Instagram for more snippets of my life and design work.